Launches LaunchBox in Big Box mode from within Kodi - It will close or minimize Kodi, launch LaunchBox in Big Box mode and when Big Box is exited Kodi will restart or maximize, with the option to run programs pre/post LaunchBox. It works with Windows only. 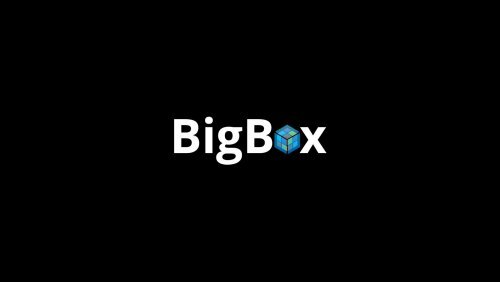 Features: BigBox Startup video and splash screen support BigBox Updater support Pre/Post scripts Minimize or close Kodi option Launcher Helper script version check Supports Kodi 16, Kodi 17, Kodi 18 and Kodi Windows Store versions. 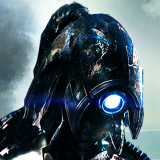 Requirements: Windows PC LaunchBox Premium Kodi 16, 17, 18 or Kodi Windows Store for Windows Known Issues: Due to Windows Store's UWA security restrictions, user must set a save directory under the plugin's Advanced Settings to a directory of the user choice where the plugin's ahk helper script and icon file can be saved. Taskbar will flash on Kodi Windows Store version (UWA) using 1.5.4+. Current workaround is to switch to Kodi non-UWA or to minimize effects, enable hide taskbar in advance options, remove Cortana search bar and change taskbar to black. Install instructions: Use 'Install from Zip' in Kodi and browse to the directory the plugin's zip was downloaded to and select it. Configuration: This plugin requires the user to set the location of their LaunchBox directory in the addon settings before first use. eg. C:\Users\<username>\LaunchBox\ PLEASE NOTE: THIS PLUGIN WILL PRODUCE AN ERROR DURING INSTALL IN KODI ON ANY OPERATING SYSTEM THAT CANNOT RUN LAUNCHBOX. SINCE LAUNCHBOX IS CURRENTLY WINDOWS ONLY THAT IS THE ONLY OPERATING SYSTEM THE PLUGIN CURRENTLY SUPPORTS. ATTENTION: WILL NOT WORK ON ANDROID (BOX, SMART TV, ETC. ), IOS or MAC AND LINUX. This is a loose port / interpretation of the Aeon MQ7 skin for Kodi. It’s one of my absolute favorite skins for Kodi and was a huge inspiration for my first BigBox theme: CriticalZone After @NJDave71 already brought Aeon Nox to BigBox I thought it would be time to bring Aeon MQ as well. This theme was designed for 16:9 and 16:10 aspect ratios and tested on 1920x1080 and 1920x1200 resolutions! This is just an early preview version that I built last September. Due to my new job I hadn’t much time to finish it up as an extensive theme like CriticalZone. I used the holidays to polish the Views that I already had as I don’t want to just sit on it any longer and I have definitely planned to add a ton of new Games Views to this, but I don’t know when I will find the time to do it. So for now just take it as it is and tell me what you think about it and what do you wish for potential updates. 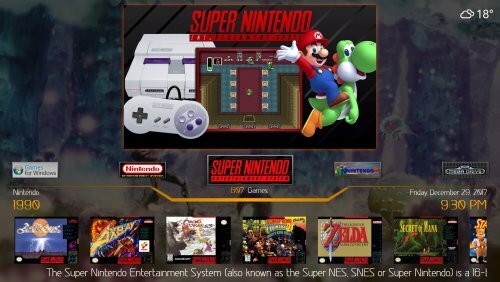 This theme currently features 4 Platforms and 3 Games Views. How to install: 1. Just download the archive and extract it to: “..\LaunchBox\Themes\” 2. Go to the “Plugins” folder inside of the extracted folder and right-click on of the .dll file. Choose Properties -> Click on “Unblock” at the bottom of the window. Close the window. If the "Unblock" button isn't there than you are already good to go. 3. Open the Options menu in BigBox -> go to “Views” and change the Theme to "Aeon MQ7". IMPORTANT: This theme requires at least LB v9.4 to work properly! Showcase video of the Game Views by @pipes78 I like to thank the following persons for their indirect help to create this theme: @eatkinola for his guide on how to add fonts as a plugin And of course everyone who was working on the original Aeon MQ skin! Known issues: - The navigation for the game boxes doesn’t work in the Horizontal Wheel Platforms View 1 - The available space for the horizontal scrolling text gets smaller the higher the DPI settings are on your PC. Just went to the kodi website, and it looks like its been taken down by the feds!!! My computer runs everything through Kodi on startup. Certain games especially on the Ps1 emulator and every Steam game mess up Kodi's window resolution when exiting the game or emulator. The only way to reset it to exit Kodi and open it back up. Is there any video settings I may not have messed with to keep this from happening?